← Off to College … Into? 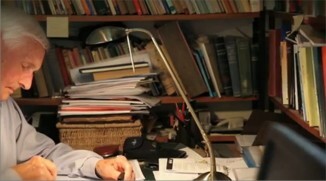 Malcolm Jeeves is a Christian, an emeritus professor of psychology at the University of St. Andrews (one of the founders of the department), and of late he has been thinking and writing about the intersection of mind and brain and the relationship of the psychology and neuroscience with Christian faith and religious belief. His new book, Minds, Brains, Souls and Gods: A Conversation on Faith, Psychology and Neuroscience, takes a conversational to the issues that arise between the scientific study of mind and brain and the Christian view of humanness and soul. After an introductory chapter on the nature of Psychology as a discipline Jeeves dives into one of the more controversial issues in modern neuroscience – the relationship between mind and brain. Ben (the student) poses some rather common questions, and Jeeves responds with longer essays describing some of the history of this discussion (all the way back to the ancient Greek philosophers) and looking at the heart of the issues involved. In this chapter on the mind and brain Jeeves emphasizes the importance of top-down and bottom-up mechanisms and the need to avoid excessive reductionisms, the claim that we are “nothing but” material connected by electrical impulses. Do you think that the relationship between mind and brain poses a challenge for Christians? Are we nothing but meat and the activity of brain circuits? Here I will highlight what I see as the four most important points that Jeeves makes in this chapter. (1) It is important to avoid reading beliefs into the data. This can include Christian beliefs, and it can include secular beliefs. The relationship between intelligence and religiosity is interesting – and the paper drew a variety of opinions and interest. Both atheists and Christians read beliefs into the results. Some vocal atheists read into the data “intelligent people know enough to reject faith” others read into the data “intelligent people are too arrogant to accept faith.” (That was not the argument I was trying to make, but it is how some read my argument.) Of course we will try to draw connections and to hypothesize on meaning – but we must always be aware of our predisposed beliefs and try to recognize the distinction between data and interpretation in our own work and in the work of others. Interaction with the data should sharpen our beliefs. Jeeves takes this idea back into our approach to scripture as well. I find that, from the Christian side of the discussion between science and faith, there is too much emphasis on tradition and too little attention paid to immersion in scripture and search for the meaning of scripture. Jeeves uses this question as an opportunity do point out that “the course of research never runs smoothly” and that at some level conclusions are growing, developing, and maturing. To the outsider this looks like the fickleness of science, but it is actually the normal process. Nowhere is change more pronounced these days than in the field of neuroscience and the relationship between mind and brain. Although some scientists will give the impression of certainty in their conclusions, all should be considered critically and with the potential for change. An example Jeeves chooses to consider is the idea of “right-brain” and “left-brain” functions. Much research on the hemispheres of the brain is well-founded, but reality is more complex than the simplistic ideas allow. Recent research has pointed to a top-bottom distinction rather than left-right, for example. He turns to Tom Wright again, this time in a somewhat more critical and cautionary frame. It is good to explore the connections between observations of behavior with what we are learning about brain function. It is unwise to seem to tie these observations tightly to the scientific theories – especially at the cutting edge of knowledge. Left brain, right brain is almost certainly a significant over simplification. (3) Avoid reductionism. Jeeves points out that it is important to avoid separating separating mind and brain. We need to avoid the reduction of the mental to “merely” the physical. I’ve ordered Tallis’s book Aping Mankind (and a few other books I’ve found referenced by Jeeves) and will return to these issues in future posts. I think there is a big danger in trying to hard to make humans “merely animals.” Whether through natural means as Tallis would advocate, or through divine action, humankind is not merely an animal. The distinctions, I believe, are both quantitative and qualitative. But this is too big a topic to dig into deeply here and it will come up again. Jeeves doesn’t raise this here – but I think this is why spiritual disciplines, regular prayers, liturgies, and the like are so important in Christian life. It is not that we must do something to earn God’s favor. Rather it is because the very things we do and habits we develop shape who we are at a rather profound level. Duality … but not substance dualism. Much of the discussion concerning the relationship between mind and brain in Christian circles comes down to the the question of body and soul. Many Christians are what would best be described as substance dualists (or here). That is, they believe that an immaterial soul or person has a real substance separate from the physical body or substance that contains the person. Jeeves sums up his discussion by noting that he, as a scientist, psychology professor, and Christian, believes that we are a psychobiological unity. There is an intrinsic interdependence, both bottom-up and top-down, between the physical brain and body and the mental processes. This is a tough subject for many Christians. The separation of body and soul is embedded in our language and tradition. Modern neuroscience is requiring something of a revision of thinking here. But, as Joel Green has argued (Body, Soul, and Human Life: The Nature of Humanity in the Bible) this may take us back to a view of humanity closer to that found in the Bible. (For those who may be interested, I did a long series on Joel’s book a couple of years ago – Being Human.) The notion of humans as a psychobiological unity reshapes some of our thinking, but is not in conflict with the Christian faith. If you would like to comment please see Beware Neuromaniacs and Darwinitis at Jesus Creed. This entry was posted in Humanness, Neuroscience, Psychology and tagged Malcolm Jeeves, N. T. Wright. Bookmark the permalink.